Join Larimer Animal People Partnership volunteers and their special story-loving critters. 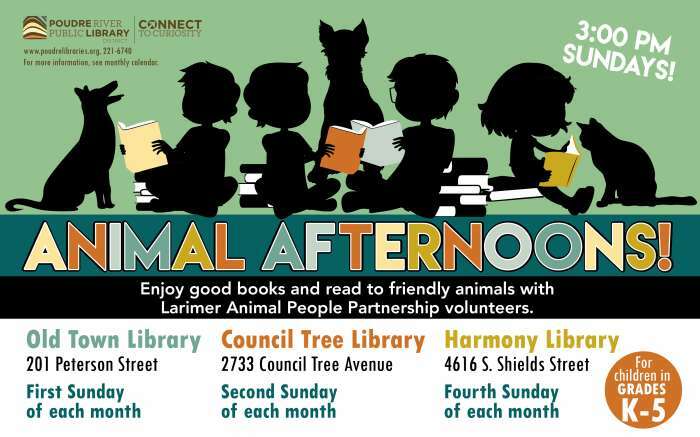 Enjoy good books and the opportunity to read to friendly animals. For children in grades K-5.